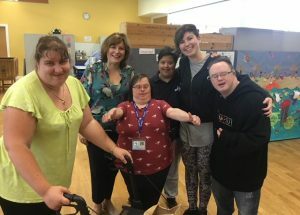 “We work with very small groups of about 8-10 learners - it just wouldn’t work with 15-20 people in a classroom with learning difficulties, as it’s important each learner gets individualised support - which means that our courses take a great deal longer to complete, and are therefore a lot more expensive to run. Ultimately, we have a small number of people achieving these qualifications, and on paper this can look frustrating – but in my personal experience, delivering these qualifications feels so much more valuable because of it. It’s testament to the learners, the teachers, the staff and the parents, to the huge collective effort it takes to give people this opportunity.